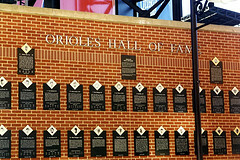 Camden Yards Stadium, properly known as Oriole Park at Camden Yards, is the home of the Baltimore Orioles. This beautiful ballpark paved the way for modern baseball-only stadiums. 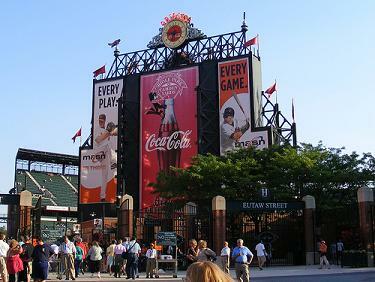 Oriole Park introduced the so-called "Retro" or "Neo-classic" style ballparks to baseball fans across America. 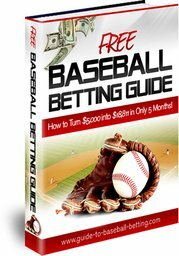 Its traditional and intimate design blends features of the earlier ballparks built in the early 1900’s with modern, state-of-the-art architecture. Steel (not concrete trusses), an arched brick façade, a sun roof covering the upper deck, an asymmetrical playing field are some of the features that link the Camden Yards Stadium to the big league parks from the past. Oriole Park sits 12 minutes west by foot from the City’s Inner Harbor and only 2 blocks from the birthplace of the legendary George Herman “Babe” Ruth. Babe’s father operated a Cafe located on the ground floor of the family residence located at Conway Street and Little Paca, now center field at Oriole Park. Camden Yards' signature is the landmark B & O Warehouse. Situated beyond rightfield (432 feet from home plate), it is the longest building on the East Coast at 1,116 feet but only 51 feet wide. The eight story building provides office space for the Orioles and other tenants. The planning for Oriole Park in downtown Baltimore started in the early 1980s. Since their move from St. Louis in 1954, the Orioles’ home was the multi-purpose Memorial Stadium. However, the football Colts had moved to Indianapolis and the “Grand Old Lady” was showing her age. Maryland Governor William Schaefer (the former mayor of Baltimore) was instrumental in getting Oriole Park approved by the State Legislature. Plans called for the construction of a football-only stadium as well – both to be financed by a new lottery game. 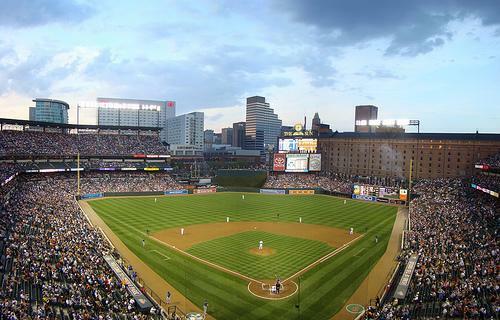 Construction began in June 1989 on an 85-acre site that was once a railroad center known as Camden Yards. The $100 Million Camden Yards Stadium, designed by Kansas City’s HOK Sport, would take 33 months to complete, opening on April 6, 1992.